We normally rent a car or use public transportation when we explore a new country. However I had many activities planned and a lot of ground to cover during our week in Morocco, so I arranged a private 4 day, 3 night tour with Tenere Tours. Our driver Sayid and guide Rachid picked us up bright and early from our riad. 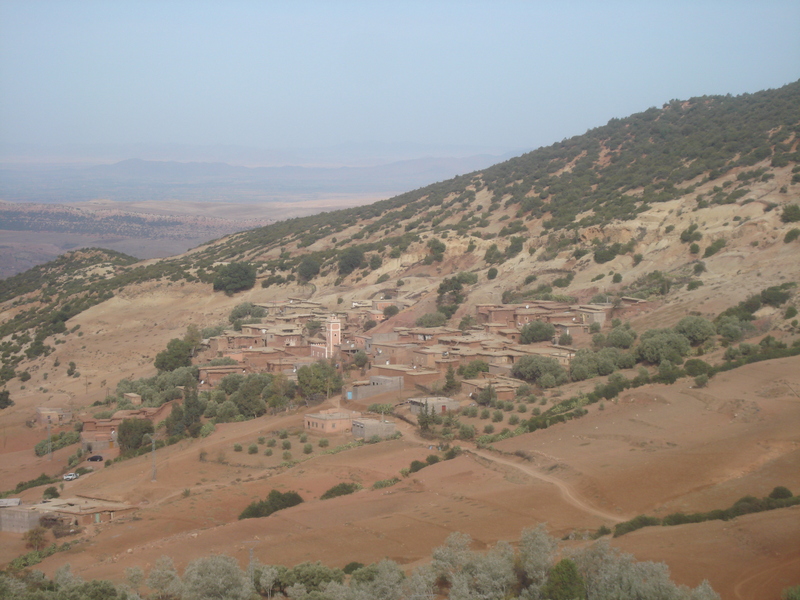 The four of us set out in their Land Cruiser on the way to Boumalne Dades, a drive of about 300 kilometers. After we left Marrakech we headed to the High Atlas, a mountain range that stretches between Marrakech and the Sahara desert. I was surprised to see snow in the mountains since I’ve always pictured hot desert when I thought of Morocco. Rachid said they even have snow skiing. 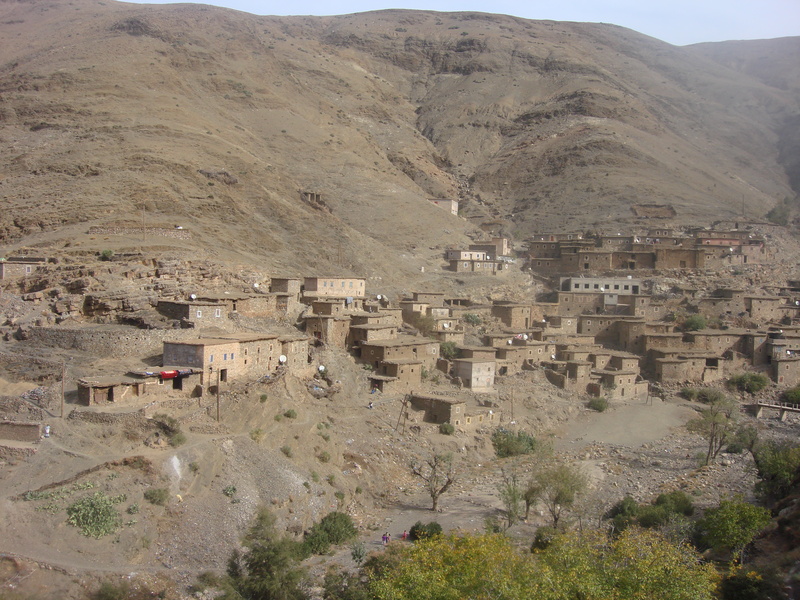 We saw gorgeous Berber villages in the mountains – villages that still use donkeys for transportation and have had electricity for only five years. Before lunch we went to Ait Benhaddou ksar, a fortified city. 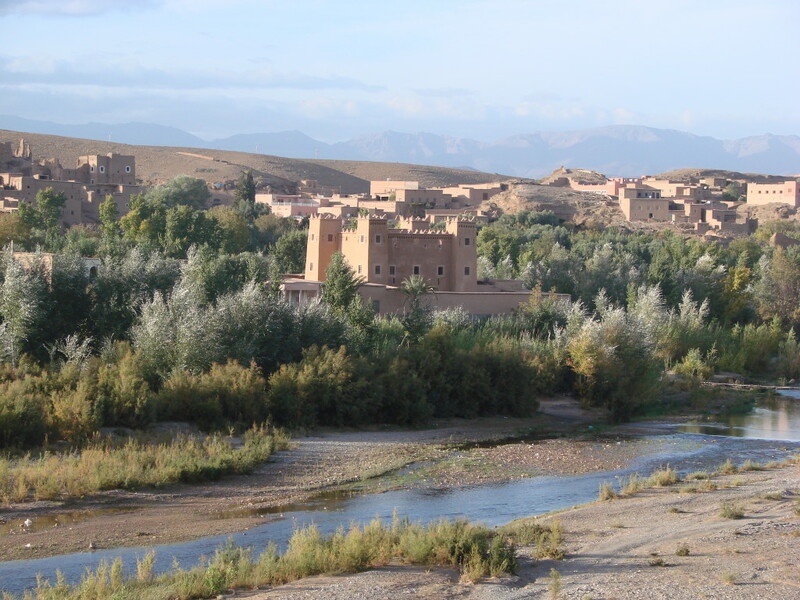 Ait Benhaddou was an important point of protection for caravans that traveled the route between Timbuktu in present day Mali and the Atlantic coast of Morocco. 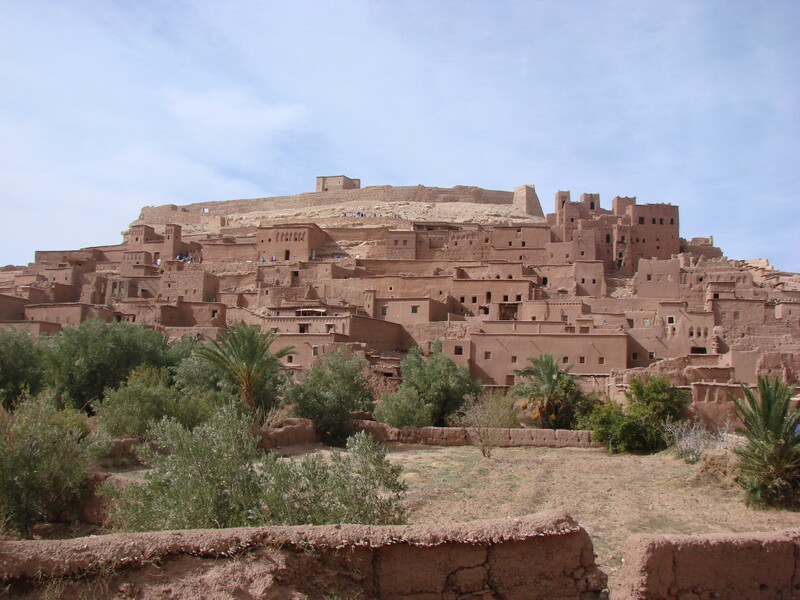 The ksar was named as a UNESCO Heritage site in 1987 and most families have moved to the new city across the river, but eight families still live within the old walls. Many films and TV shows have been filmed in the old city including Gladiator, Kingdom of Heaven, Jewel of the Nile, Lawrence of Arabia, and Game of Thrones. Rachid arranged for a private walking tour with a resident of the old city, who had been an extra in Gladiator. 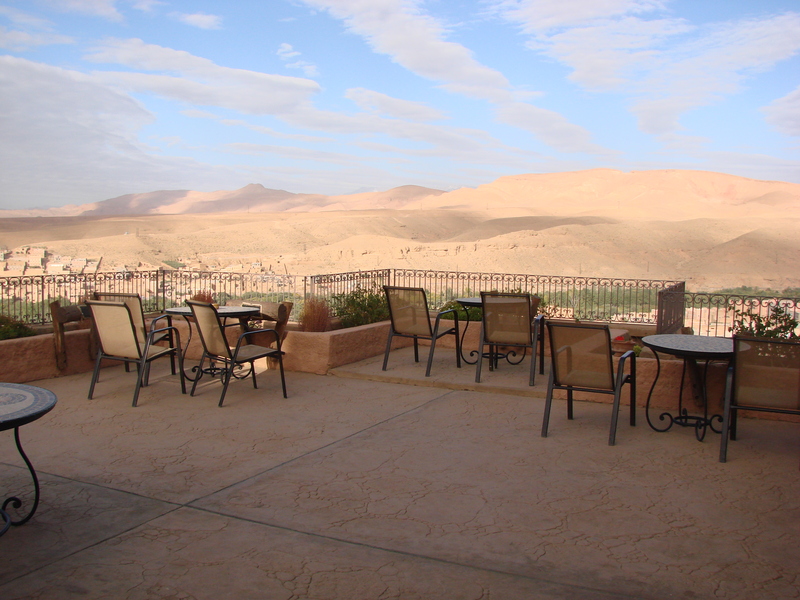 Then we drove through the Dades Valley and the Valley of Roses, lush green valleys full of palm trees and alfalfa. I absolutely love our hotel tonight – Xaluca Dades. We were greeted by local singers and drummers. 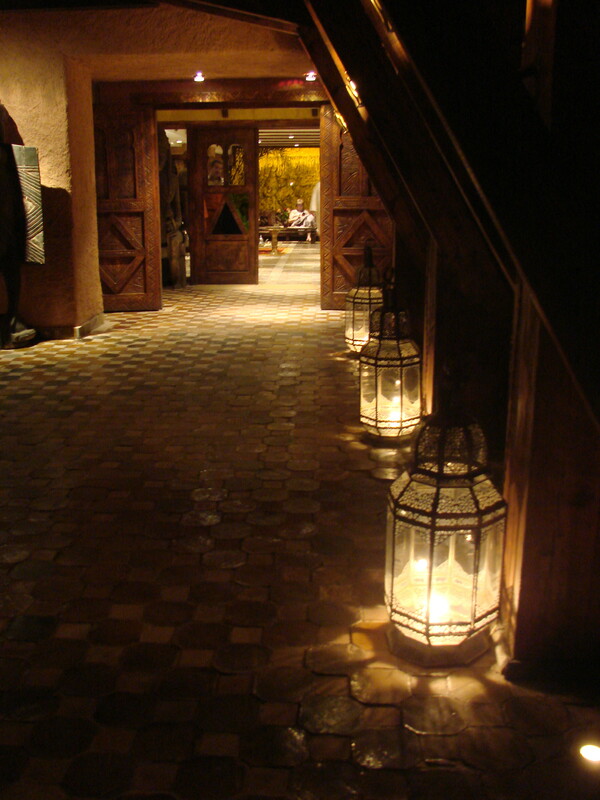 The hotel is gorgeous – the pool, restaurant, and bar are amazing.